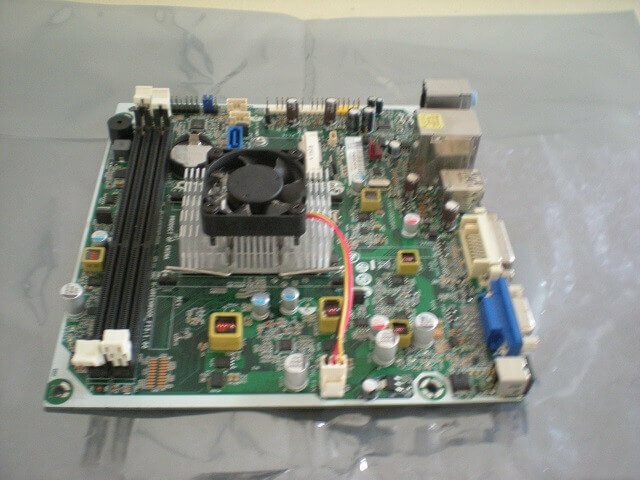 Need a Motherboard for this HP Slimline 400-214, due to lightning. Have two # on Motherboard, 712659-001 and 717072-501. I believe the Processor is a AMD Kabini E1-2500 with AMD HD 8240 graphics. Both the graphics and the ethernet was damaged by the lightning. I can still get a little vga output but no ethernet, I can connect to the internet via my wifi. Thanks Richard, that is one option. Been looking on Ebay at a couple of boards, but I have to make sure they have the same numbers. Their seems to be a lot of boards out their that are compatible with this machine, with different numbers, but may not let W10 reactivate. Hello Daniel. Not wanting to add salt to your wound, but did you use a surge protector? I've read that sometimes even using one does not guarantee total protection against lightning, Minsblower! Surge protectors protect against surges (aka spikes), not lightning. A surge occurs when your refrigerator starts, or another heavy-duty appliance-- heaters, vacuum cleaners, AC units, etc. Lightning is a whole 'nother world and no surge protector on this planet is going to cover that amount of juice. In fact, surge protectors weaken over time and need to be replaced. Don't take my word for it-- look it up. I understand the surge protection thing, but this happened at about the last of May when a really big storm rolled through. As Richard stated, I do not believe surge protection would have did much of anything, unplugging the PC would have been better. By the way this is not my PC, it belongs to my Wife's Niece, I am just trying to get it running again, as economical as possible. 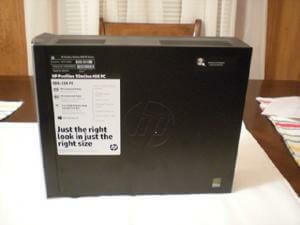 She had two PC's that were hit by that storm, this HP and Dell, both are of the slimline design, I call them half PC's. She had them at a local PC shop, and all they did was retrieve the data from the drives. They told Her they were not worth fixing. My immediate concern now is to locate Mobo for both PC,s. One more job for the Family PC Geek!!!! Appreciate the comments. Hello. I find it strange that lighting would limit its strike to just a board or two. Normally the entire unit would be toast (so to speak). Power companies make sure their supply is protected, otherwise there would be fires every time there is lighting. No expert here, but I've done my fair share of reading on this topic too.. The reason I asked about surge protection is that surge protectors like most products have a range of protection and few offer the ability to inform when they no longer are effective. Been there and lucky for me I purchased one that let me know it failed. This is why I rely on the protection of a UPS which has built-in surge protection, Mindblower! I had lightning strike through the DSL line one time. If fried my onboard LAN chip and nothing else. Installing a dedicated LAN card worked fine for years. Many years ago, I had lightning once again sneak through the phone line and that time it fried the whole board, HDD and all. That old computer was toast. Push-button circuit breaker enables quick recovery from overloads. 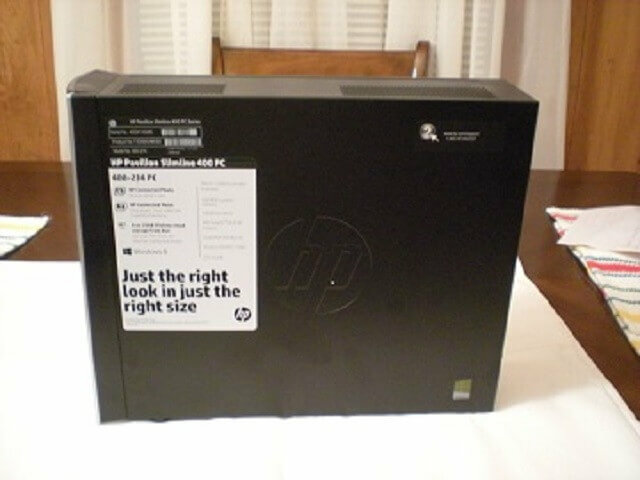 Should mention there are also two types of UPS units on the market. The one above which only reacts supplying power when it senses a change (voltage goes up or down) and the more expensive unit where you are always powered by the battery (full sine wave). These are the true UPS's and cost is in the thousands, Mindblower! Found this board on Amazon for $28.00, wasn't expecting much, but it is working just fine. Had to use ram module and the wifi module, but everything is working, even W10 booted back up just fine, without any reactivation. Our Niece is now a happy camper. Greetings I am so grateful I found your site, I really found you by error, while I was researching on Askjeeve for something else, Anyhow I am here now and would just like to say thank you for a incredible post and a all round thrilling blog (I also love the theme/design), I don’t have time to read through it all at the moment but I have saved it and also included your RSS feeds, so when I have time I will be back to read a great deal more, Please do keep up the fantastic work. Welcome to the DCT Forum. Those HP Slimlines are quite versatile and I ran one for a year or so with the TV by adding a low profile Radeon 4450 GPU with an HDMI port.